Gas companies want to drill and frack for coal seam gas under homes and communities in Western Sydney. The Greens oppose coal seam gas mining and think the people of Western Sydney should be not be used as guinea pigs by this industry. The State Government should follow Queensland’s lead and prohibit mining in urban areas. 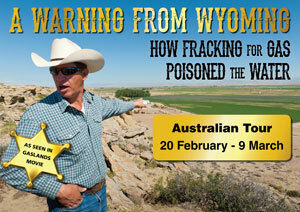 70% of Australians oppose coal seam gas mining in cities and towns according to a poll conducted by Galaxy Research. There are three coal seam gas exploration areas that cover the Western Sydney area. 1) AGL has a exploration area stretching from Bowral to Richmond. 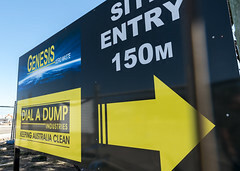 It currently has an active coal seam gas field at Menangle Park with plans lodged for a new gas field in the Camden Scenic Hills and under Campbelltown. 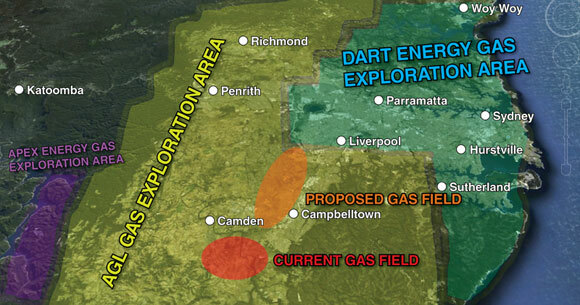 2) Dart Energy’s exploration area covers the rest of the Sydney Metropolitan Area. Dart planned to drill a gas well in the inner city suburb of St Peters, but were vigorously opposed by local residents. 3) Apex Energy has an exploration area in Sydney’s drinking water catchments around Warragamba Dam and on the Illawarra Plateau. Coal seam gas (CSG) is a type of natural gas, primarily made up of methane, held underground in layers of coal seams by water pressure. 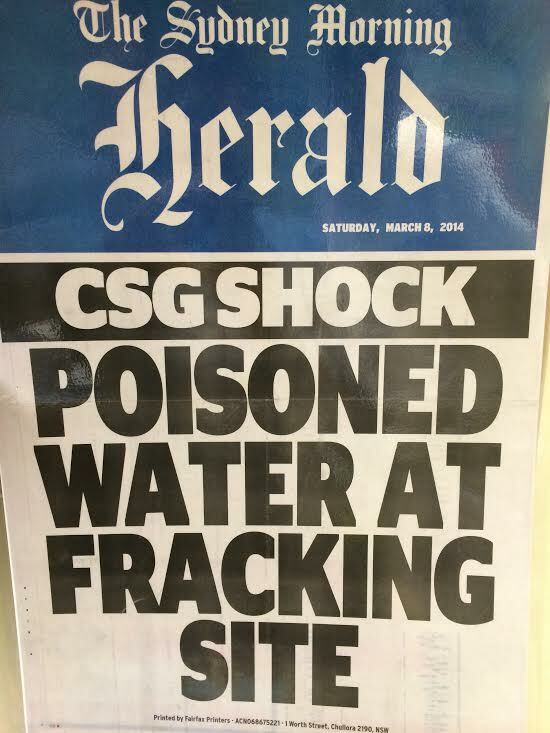 Once released CSG can be burned to produce energy. In order to release the gas, wells must be drilled through the seams to relieve the pressure and allow the gas to come to the surface. These seams contain both coal and water and are often located below or close to natural underground water basins. These natural water basins like The Great Artesian Basin are used for drinking water and agricultural irrigation. Once at the surface the gas is burned like other fuels to produce electricity and energy for heating. This process releases CO2 pollution into the atmosphere. Pollution of ground water – drilling, fracking and extracting gas can contaminate aquifers with chemicals used in the extraction process and chemicals naturally found in coal seams. The depressurisation of aquifers, as well as the fracking process itself can result in new connections between aquifers and drops in water levels. Pollution of surface water – extraction of salty water from deep underground, and the chemicals used in the extraction process can spill or leak into creeks and rivers. AGL is drilling gas wells only 40 metres from the Nepean River! Air pollution – Gas wells can leak methane gas, as well as volatile organic compounds causing air pollution. Monitoring and health statistics in areas of gas extraction in the United States indicate gas wells create significant air pollution and there are increased rates of asthma and cancers. Toxic fracking chemicals – Fracking or hydraulic fracturing involves injecting water, sand and a cocktail of chemicals deep underground under enormous pressure to fracture the rock. Fracking can increase gas production by up to five times and wells can be re-fractured if the start to dry up. There is concern that fracking can cause the drilling and fracking chemicals, as well as gas and naturally occurring chemicals in the coal seam, to leak into other layers of rock, aquifers or into the atmosphere. It has been blamed for contaminating water to the point where the water can catch on fire. Watch this video of a flaming tap from the film Gasland. Contaminated Water Waste: salt water that has been brought up with the gas and water contaminated through fracking must be contained in large holding ponds as there is currently no way to clean the water. CSG mining produces huge amounts of this undrinkable water and the large holding ponds often leak into surrounding water supplies. Not clean Energy – unconventional gas production has a high-level of fugitive emissions. This means that coal seam gas might even be worse for climate change than burning coal. Industrialisation of the suburbs – a gas field is a heavy industry. It involves dangerous chemicals, heavy equipment, truck traffic, drill rigs, pipelines, compressor stations, high voltage power lines and other industrial infrastructure. Turning suburban or rural areas into the a gas field means industrial noise, lights, pollution and traffic. Falling property prices – No one wants to live near gas wells. In the US many home owners have experienced dramatic falls in the value of their property. Why is the NSW Government putting your health, safety, environment and property values at risk by allowing coal seam gas mining near your home? Contact Premier Mike Baird and tell him to stop coal seam gas in Western Sydney.